Blue flower latch hook rug kit with hand painted canvas in Romney rug wool. Size 68cm x 137cm (27in x 54in). 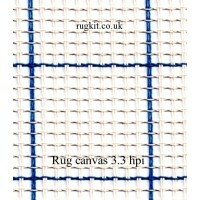 Kit includes Zweigart canvas, cut pa.. Wooden embroidery hoops available in sizes 10cm (4in), 15cm (6in), 20cm (8in) and 25cm (10in). 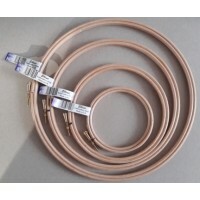 These British made hoops are perfect for cross stitch, ..
Lime shade 9154. Romney 4 ply rug wool 100g ball. Approximately 50 metres per 100g. Mothproofed and colourfast. 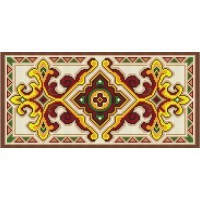 For latch hooking, rug hooking, r..
Light biscuit shade 973. Anchor (formerly Readicut/Homemakers) 6 ply rug wool in packs of 160 pieces. Length approximately 6.5 cm. .. Counted cross stitch kit of Penzance in Penwith district of West Cornwall. Finished size approximately 30cm by 20cm ( 1.. It is easily maintained, resists soiling, repels surface spills and responds well to cleaning. Non allergenic, wool is not known to cause allergy and does not promote the growth of bacteria. With microscopic scales, wool fibres can trap dust in the top layers until vacuumed away. It promotes comfort and well being, with insulation properties which reduce noise, heat loss, condensation and improves indoor air quality. It is safe, non slip and naturally fire resistant. 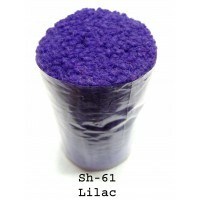 It is ecologically advantageous, grown naturally from a renewable source and is completely recyclable and biodegradable. Durable and elastic, wool fibre can be bent 20,000 times without breaking and still have the power to recover and return to its natural shape. 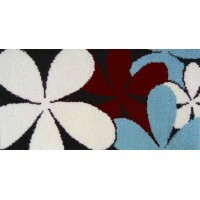 Quality wool rugs look good for longer. Click on the images to go to our shop with secure online ordering, we accept debit and credit card payments through Paypal although you do not need to have a Paypal account to do this. You can also telephone with your card details, send a cheque or make a transfer to our bank. Established in 1986 as Iriss of Penzance we are a family business supplying exclusive designs of latch hook kits and cross stitch kits as well as embroidery thread, tapestry wool and a range of locally hand crafted jewellery. We also have a selection of serviced and warranted used sewing machines we can demonstrate to you. Please feel free to contact us for help or advice during normal working hours or you can leave a message with your contact details and we will call you back at the earliest opportunity. You can order online or telephone your order - call us on 01736 363457 in the UK or +441736 363457 from outside the UK, we ship worldwide. Cornish Stitch Designs, 2 Queen Street, Penzance, Cornwall TR18 4BJ UK. Penzance in Cornwall with Cornish Heritage Safaris or take a guided walking tour of the town to discover hidden places as well as the Jubilee Pool, an iconic open air Art Deco lido at the beginning of the longest promenade in Cornwall. Enjoy your visit to Penzance and book your stay in one of the most beautiful regions of Britain.